Hong Kong pop psychology has long held that people in the territory are drawn to long queues for fear of missing a bargain, however the latest research reveals that 89% of shoppers in Hong Kong have walked out of a store during the past 12 months due to long queues, which have cost the city’s retailers over USD$2.35 billion. A new report from 451 Research commissioned by Adyen, the payment platform, points to lost retail revenue of USD$1.26 billion from long wait-to-pay times, of which USD$1.09 billion is attributed to shoppers opting out of long queues to try another store for the purchase, while the remaining shoppers did not purchase products at all. Five to ten minutes is viewed as an acceptable waiting time to complete a purchase by 57% of Hong Kong shoppers, according to the report. Waiting longer than 10 minutes is the tipping point to decide at which shoppers simply leave the store without making the purchase or to try another store. While in-store purchases still dominate Hong Kong retail, online buying has made notable in-roads in some sectors namely the hospitality and grocery shopping industries. Hong Kong’s preference for grocery shopping online stands out in the report as the city led all regions surveyed including: Singapore, Australia, the United States and Europe. One-in-five Hong Kong shoppers prefer to order groceries online. In a city with a convenience store on every corner, conventional wisdom dictates that location and inventory should correlate to success – however research from Adyen points to specific category of shoppers, Spendsetters who are eager to embrace newer shopping experiences where technology marries with offline retail to create a truly frictionless buyer journey. 53% of Hong Kong consumers fall into the “spendsetters” category as opposed to 3% “resisters” who are less enthusiastic about new technology and slower to adopt it. The value of the brand is also crucial with 37% of Hong Kong consumers report they are willing to pay a premium for a brand experience, stated in the report. 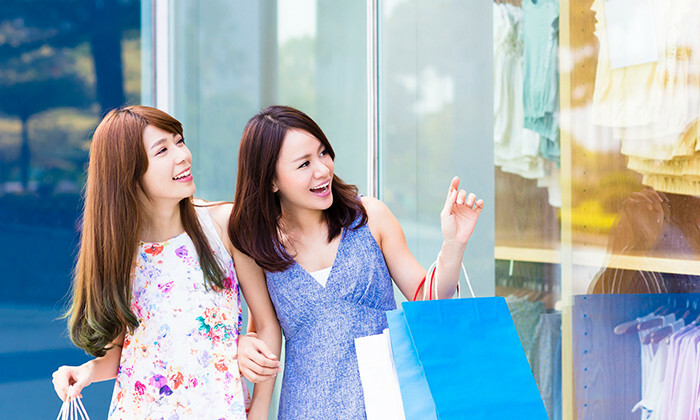 This points to a major opportunity for Hong Kong retailers to develop new channels of engagement and explore new digital solutions in-store such as augmented reality apps to offer shoppers additional information to support their decision making, like digital mirrors in dressing rooms and “connected” store associates. The report also highlighted consumer preferences that can increase brand loyalty. Some 54% of Hong Kong shoppers said the ability to check if an item is available online before going to the store would strengthen brand loyalty. Other loyalty boosters include: the ability to exchange or return an online or in-app purchase in-store, the ability to reserve items online, in-app or on the phone and then pay and collect the purchase at a store. These consumer insights offer significant opportunities for retailers. Apart from long queues and wait times, the report cited merchants’ failure to provide preferred payment methods as another source of lost revenue. When familiar and trusted payment methods are unavailable, 34% of shoppers left the store to make their purchase elsewhere. The reaction of another 22% of respondents was to spend significantly less. This failure to meet customer expectations cost Hong Kong retailers US$68.5 million over last 12 months. The report found that 62% of the city’s shoppers cite credit cards as their preferred payment method, followed by 56% who prefer cash, 24% that cite contactless payments and 22% that noted options such as Apple Pay, Google Pay and Samsung Pay. Cashless payment methods like digital wallets have gained strong traction due in part to aggressive marketing by Alipay, Tap & Go and WeChat Pay. Some 40% of shoppers said contactless cards would improve their in-store experience, while 37% preferred mobile wallets. Alipay and WeChat Pay were specifically noted by 33% of shoppers as enhancing their in-store experience. Asked which payment methods would most likely convert them from shopper to buyer, 40% of Hong Kong respondents said self-checkout, 37% said contactless cards, and 21% said biometric payment options. Japanese advertising agency Daiko Advertising has partnered up with local independent agency The Adplanet Group for a joint ventur..
What should the next generation of Don Drapers look like?